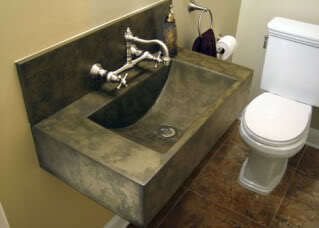 Concrete sinks are one of the hottest trends for kitchen and bathroom sink designs. Concrete is a durable, affordable building material, which is increasingly popular in residential remodeling projects that range from floors and fireplace surrounds to countertops and sinks. Concrete kitchen and bathroom sinks provide the unique ability to create a one-of-a-kind feature. No two concrete projects are the same! Using concrete enables you to be in control of just about every aspect of the design of the sink, including whether it is poured and formed at your home ("poured in place") or at the shop ("precast"). 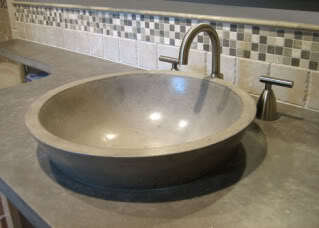 Handcrafted concrete sinks are all custom designed by the homeowners and their concrete contractor. Popular design trends include variously shaped sinks: oval, rectangle, square and round. Some homeowners choose to make the entire vanity out of concrete. 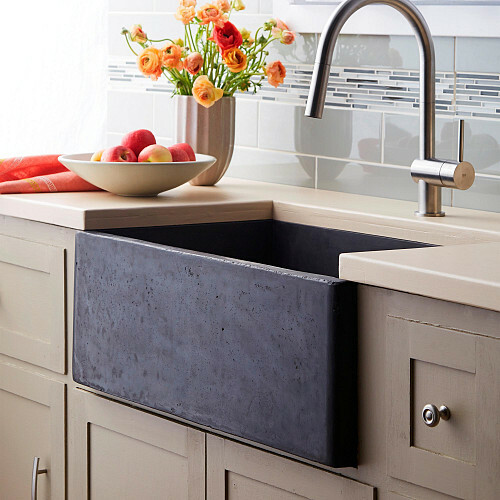 Other popular trends include concrete farmhouse "apron") sinks or ramp sinks, whereby the basin features a downward slope. These last two two are popular in kitchens. 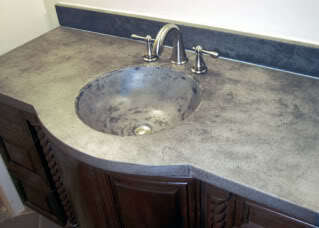 There are 4 common types of concrete sinks: integral, vessel, undermount, and pedestal. 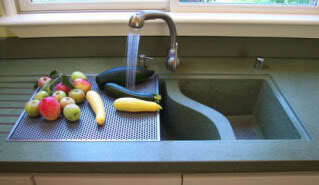 Integral sinks are designed as a seamless part of the countertop. 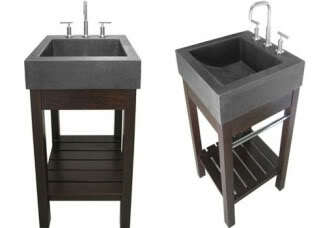 Vessel sinks are one of the more popular concrete sink trends. 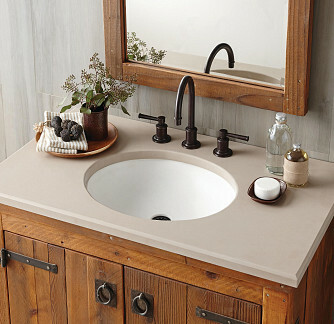 This sink type is a basic bowl-like sink which appears to be sitting on a countertop with the faucet fixtures above it. Undermount concrete sinks are installed beneath the countertop for a beautiful smooth design that makes cleanup a breeze. 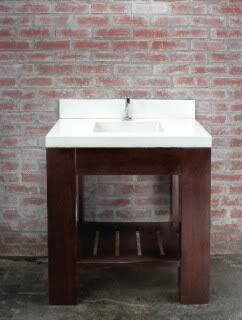 Pedestal sinks have long been popular, but it was not until recently that concrete pedestal sinks broke into the market, becoming one of the hottest materials used for sinks placed on a pedestal type vanity.